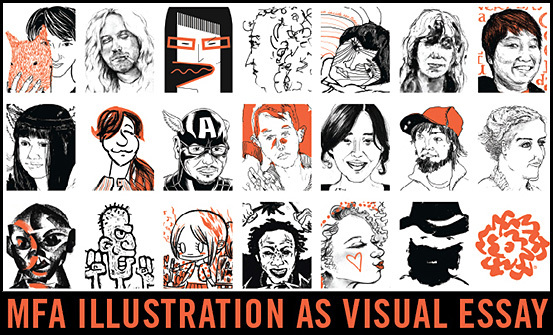 The hottest ticket in town this week is the SVA’s Illustration as Visual Essay Thesis Show. We are consistently humbled by one of the most unique visual arts graduate programs in the world. Twenty amazingly talented illustrators, with confident, figurative drawing and painting skills, present their personal visions this week in Chelsea. See you at the opening tonight! Saw ya there though it was way too crowded. Great show. PS-I love my Chop Shop tees. Get some great comments on them. Previous Post: Stop the Letter Presses!